No coffeeshop without milk shake, right? I love milk shakes, as long as they are cow's milk free and not too sweet nor loaded with artificial flavours and colours. So I create my own with sometimes odd ingredients - but they are much yummier and healthier than conventional store bought stuff. I'm not always sure if they are smoothies or shakes, but who cares?!? One of my favourite side dishes is Mint Peas Mashed Potatoes. I know, the shake looks like something kiwi because of the little black seeds. But the little black seeds are chia seeds, and the green colour only comes from peas. Okay, maybe from the mint leaves, too, but mostly from the peas. Peas are sweet, and they go well with mint - so why add salt instead of emphasizing their sweetness? Besides some good protein you also get a lot of fibre and a fair amount of vitamins, minerals and the carotenoid lutein, which is important for the eyes. 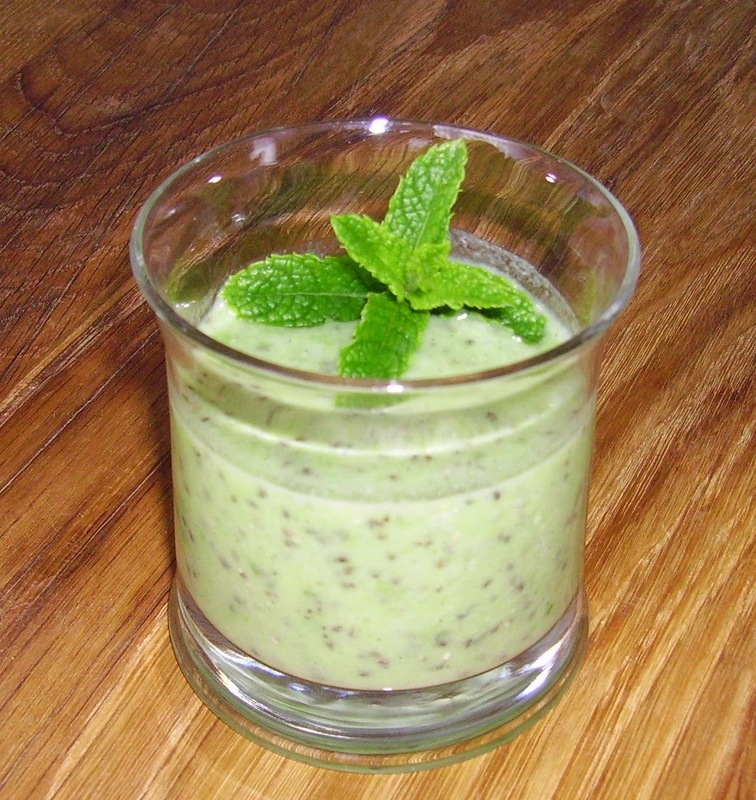 This glass of thick, smooth green goodness is so refreshing that you could have it for dessert instead of peppermint ice cream on a hot day. Soak chia seeds with sweetener and vanilla in coconut milk for about 10 minutes, stirring occasionally to prevent from clumping. 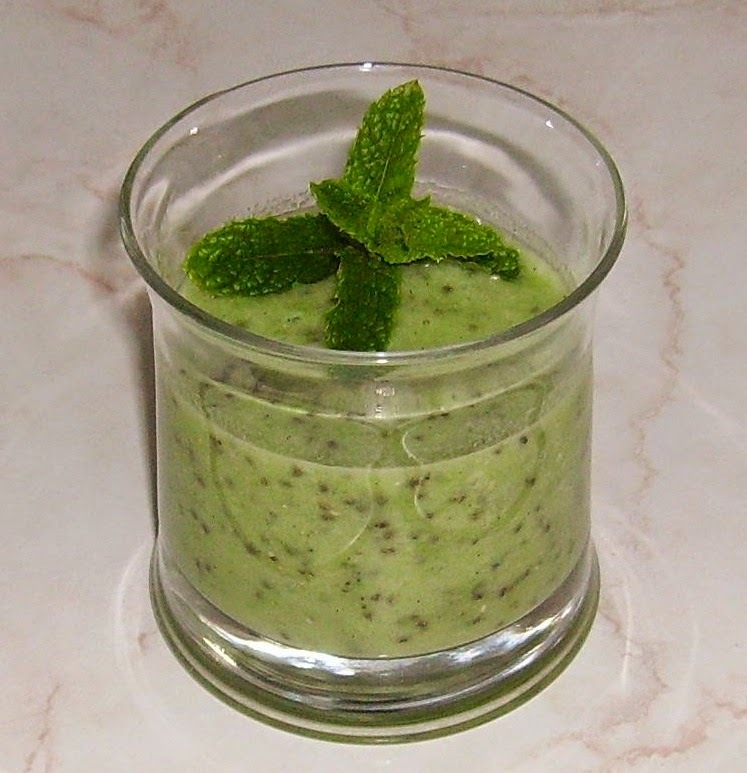 Add peas and mint leaves and blend until creamy smooth. You can of course grind the chia seeds before using, if you don't want seeds to chew on. Do you prefer milk shakes or smoothies?